In my last post of 2018, I mentioned some changes that I wanted to make on the blog. One of those was the "Life Hacks" series...I hope you are enjoying it. 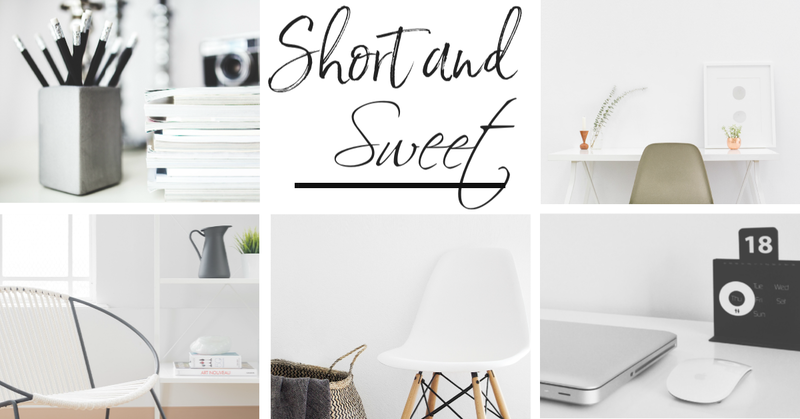 Another feature I am adding to my blog is called "Short and Sweet". For the first in this series, I want to show you how easy and inexpensive it is to have cute wall art. I wanted something for one of my guest bedrooms, but didn't want anything oversized or another "saying" to hang on the wall. Lauren, at Bless'er House, has some amazing images suitable for printing and hanging. I looked around her site, found what I wanted and downloaded the file. I saved the images onto a thumb drive, took them to Office Max and had them printed on cardstock to the size I needed. I purchased some inexpensive frames from Michael's (when they had a buy one get one free), cut the images to fit the frame and hung them on the wall. Short and sweet, easy, peasy! Nice! I like your short and sweet series. Thank you so much Nancy! I hope others like it as well! Have a great one! Hugs! The art looks fantastic there and is, indeed, sweet! I like the idea of your "Short and Sweet" posts, because I am a person who can never get through reading all of the blogs, etc. that I could like to. Keeping it simple and short really encourages people like me. Still loving the look of your blog these days! Thank you so much! It was easy and inexpensive! 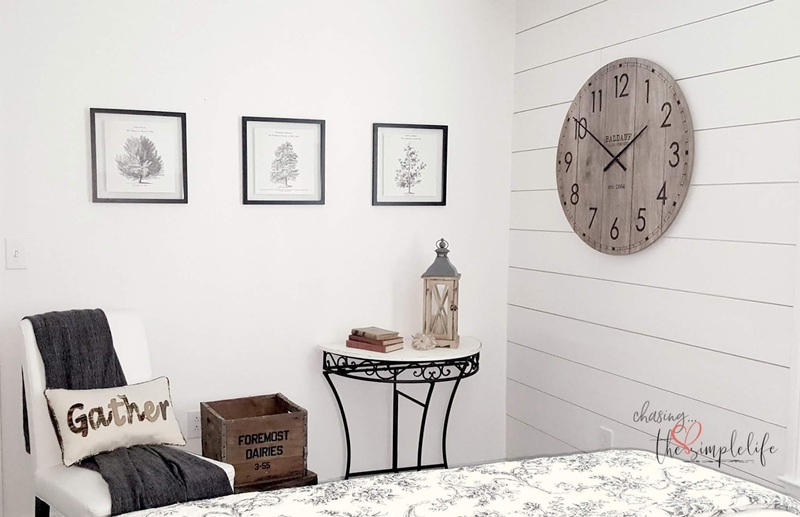 Since I change my mind on wall art all the time, I like the inexpensive route. 😊 I think I am going to enjoy the “short and sweet” also. It takes so much time to pull a post together and I know people don’t have time to read long posts all the time either, so I’m hoping this will be a good alternative…for writing and reading! 😊 I’m really trying to keep my blog streamlined! I love the new look of yours also…in case I forgot to mention in my previous comments. Love and hugs sweet friend! Thank you so much! I was very glad that I found them on Lauren's website. I like the concept also...it's easier to write and doesn't take up a lot of your time reading it. I like cold weather, but -5 is a bit much for me...and yes, I'm sure the store was a madhouse! I don't want bread, milk and eggs during a snowstorm...I want hotdogs, French fries, potato chips, etc. Stay warm and have a great weekend! Love and hugs! You go girl this is awesome. I love this short and sweet. Great idea. Thank you so much! I like it also...quick writing/quick reading, but still getting a post out! Hope you have a great weekend! Love and hugs! Thank you so much! I was really glad that I found a treasure trove of printables on several other bloggers’ sites. I like switching the prints around also and this makes it so much easier and so much less expensive! Love and hugs! Great idea! I also have some of my photos developed to use on the walls. Thank you! I have my photos printed and hanging in other rooms of the house also...it makes for easy/inexpensive wall art. I change them out periodically and just reuse the frames. Love and hugs! Cute idea - I might be interested in joining "Short and Sweet!!" Thank you! Awesome! Just let me know when you are ready to jump in - I need to decide on a date each month and will let you know! Have a great weekend! Love and hugs! Thanks so much Jan! Have a great weekend! Hugs! Count me in for "Short and Sweet,"
Barb, that is awesome, thank you so much!! I'm so glad you are interested! I will determine a date each month and let you ladies know the details. So glad you finally found a home and will be moving to Texas! Bless your heart, that is awful!! Hope you have a great weekend! Love and hugs! Thanks so much Penny! Hope you have a great weekend! Love and hugs! Short and Sweet... but full of good information! Count me in!!! Thanks so much Judith! I'm excited that you will be joining in! I will pull details together and send you ladies an email! Hope you have a great weekend! Love and hugs! I like the Short and Sweet. I like the art work! Have a great weekend yourself! Love and hugs! Cute wall art Benita! And taking only a couple of minutes out of our busy day to do something for ourselves is a great idea. Thank you so much Cindy! I couldn't agree more! One of my goals this year is to spend less time behind the computer and more time doing the things I really enjoy, like my photography! Have a great weekend and stay warm! Love and hugs! Enjoyed your Short and Sweet! Thank you! Doing a short post takes a lot of the pressure off when I don't have a lot of time! Love and hugs! Thank you ma’am! Hope you are having a great week! Love and hugs!